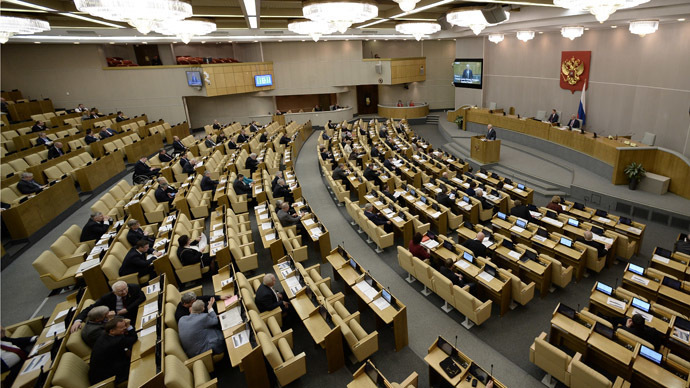 Russia’s Duma has adopted the final reading of the capital amnesty legislation which is expected to curb the outflow of money from Russia, estimated at $2 trillion in recent years. The bill was adopted Friday with 344 MPs voting for that and 81 voting against at the final reading. After President Vladimir Putin signs it into law, Russians will be able to bring their undeclared capital back from abroad without any criminal, administrative and tax penalties. It only applies to violations that took place before January 1, 2015, RIA reports. Putin first proposed a total capital amnesty in December last year.